Online slot tips and strategies. How to play to WIN! Many books have been written on the subject of slots, but they’re all about machines in brick-and-mortar casinos. With the explosion of interest in the Internet and cyber casinos, online slots have quickly become the most popular games played on computers. Let’s see how some proven online slot tips and strategies can be applied when playing on the computer. Slot evolution – I found online slots! Over many years of playing in casinos all over the continent and after losing thousands of dollars, I eventually smartened up. I learned how to preserve my playing money. I still enjoy playing slots as much as ever and the anticipation of hitting that huge jackpot is still there. But now I don’t have to travel hundreds of miles to a casino. I can choose from an endless variety of online slot machines right on my computer. An online slot machine operates in the same way as its cousins found in “real”, or land-based casinos. Every slot machine contains a computer chip known as a Random Number Generator. It’s the device that controls the outcome of every spin. Since slots are computer driven they are ideally suited for the Internet. Was the title of my eBook that sold for $37.77 a copy over the past 10 years. It was the manner in which I shared my online slot tips. I have now divided the content of that book into chapters and published them as pages of this web site. You can read the articles for free by going to the “How to win at slots” page here. Meanwhile, here are some common-sense online slot tips you should consider when playing in cyber space. When deciding which online slot to play, consider the size of your bankroll and your priorities. If you are hoping for a very large jackpot, make it a progressive machine. If you’d rather play for a longer period of time and would be happy with a modest win, then find an online slot machine with a relatively small jackpot, but with a pay table that offers a good range of small to medium payouts. How much money to risk? One of the most important online slot tips: Decide before you sit down to play either in a casino ar at home or on a mobile device how much money you are going to invest for a particular session. And stick to that limit. Don’t get carried away hoping that if you make another deposit your luck will turn and you’ll recover all of your losses. That’s one of the traps casinos hope you’ll fall into. Select an online slot machine where you can change the coin size with a click of your mouse. If things don’t go well, switch to a lower coin size. Make your money last and sooner or later a win will appear. Most slots pay a higher top jackpot for maximum coin play. For example, a three-coin machine might pay 300 coins for 1 coin, 600 coins for 2 coins and 1,200 coins if three coins are bet. On all progressive slots, it is important to play the maximum number of coins. If you do not want to play maximum coins, either look for a slot machine that does not pay a bonus for maximum coins, or reduce the coin denomination so that playing maximum coins is not that expensive. With a bit of luck you will soon experience the thrill of collecting your first online slot machine jackpot! Want to spin the reels without risking any money? 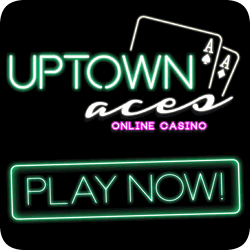 You can play for free and win for real at this Free Online Slot Machine.